"The economy is a wholly owned subsidiary of the environment..."Robert F. Kennedy Jr. 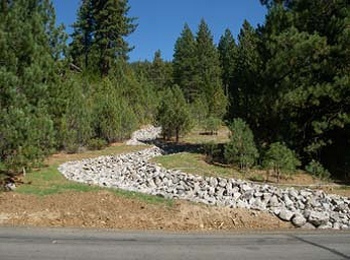 Integrated Environmental Restoration Services (IERS) collaborated with Nevada's Washoe County Public Works Department and Nichols Consulting Engineers on this large urban retrofit project to develop an innovative approach that integrated biological and engineering treatments to maximize source control and infiltration. 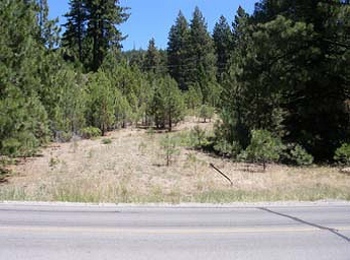 The project focused on treating eroding cut slopes and restoring infiltration capacity in roadside drainages including meandering infiltration swales, rock check dams, infiltration basins, water spreading areas and riparian/SEZ restoration. IERS oversaw implementation of all treatments and provided technical input on several major field-fit design changes during construction. The results of this innovative project demonstrated the effectiveness of cutting-edge treatments that improved source control and hydrologic function in a high priority watershed.